Lauren Rimmer has done a lot more on Survivor: Heroes vs. Healers vs. Hustlers than just provide for her tribe. Lauren is a 35-year-old fisherman and single mom from Beaufort, NC. She started the game as a member of the "Yawa" Hustlers tribe but made the merge, so now Lauren is a member of Solewa. Lauren seems to have a pretty easy-going and even-keeled personality on Survivor, but once she gets something in her mind, her feisty side comes out and she'll do whatever it takes to achieve her goal. Although Lauren appears to be a fairly quiet and loyal player, she's not afraid to make moves and switch things up. At this point in the season, it was Lauren's idea to break up the majority alliance of seven and go after several allies who appeared too comfortable with each other. Lauren now has power and is building up her Survivor resume, but as fans are well aware, it's difficult to remain a step ahead in this crazy game. Curious to learn more about her? - Lauren's hobbies include softball, traveling, gardening, organization, joking around, and anything to do with a boat. 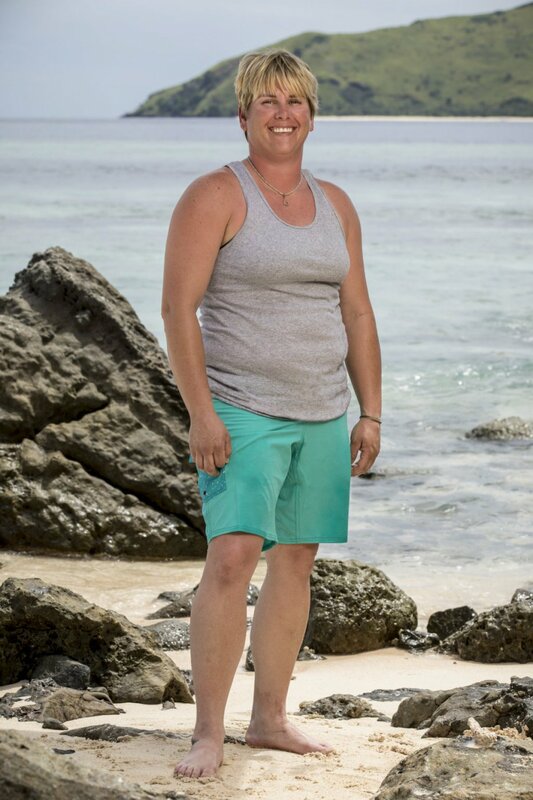 - If she could have taken three items on the island with her, she's choose a picture of her daughter to gain motive and determination every day on Survivor, a toothbrush to maintain clean teeth, and finally sunglasses for comfort and to protect her eyes from constant sun exposure. - Lauren considers herself outgoing, adventurous, easygoing, and hard working. She also confesses, however, she's stubborn. - Lauren won't compare herself to any former Survivor castaway because she always tries to do things differently than other people. - She wanted to compete on Survivor to test her limits, put her survival skills to good use, and travel to exotic locations, which would otherwise be unattainable. - Lauren's claim to fame is her nine-year-old daughter, Olivia, whom she says is determined and smart. Olivia is the driving force behind everything Lauren does, and Lauren admits her daughter is the spitting image of her. - She's a third-generation commercial fisherman. Lauren says salt water runs through her veins, as her grandfather owned a fish house, and her mother worked in the fish house, and her mother met her father in the fish house.